Our additional services include lawn aeration, overseeding, fungus control, bed weed control, and mosquito / flea / tick control. Sometimes there are unique problems that are not addressed in our standard lawn and shrub care programs. The following services can be completely customized to fit your landscape’s specific needs. 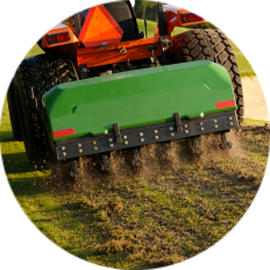 Aeration helps loosen soil that has become compacted due to normal use, including foot traffic, lawn mowing, and rain. Our area is notorious for its heavy clay composition which lends itself to heavy compaction, limiting space for root development and water penetration. After the soil has been aerated, overseeding helps fill in bare or thin spots throughout the turf. 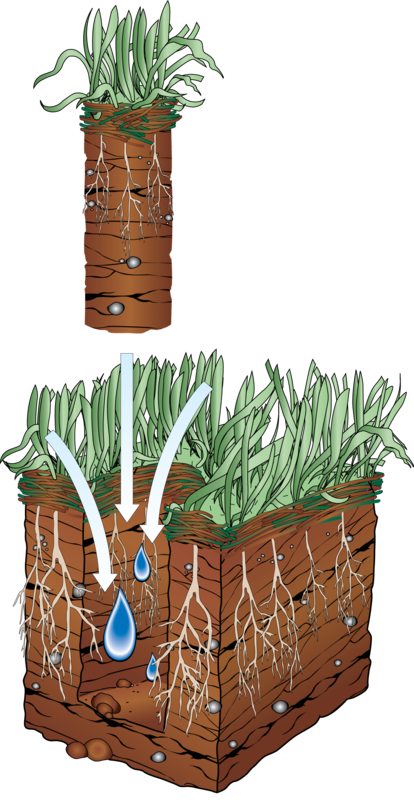 More watering than normal after lawn seeding is essential to promote root growth. A ‘plug’ of dirt is taken out of the ground which leaves room for more water, nutrients, and fresh seed to be added to your lawn. Overseeding is generally completed immediately after aeration. It may look like drought stress, but more water may only make it worse. 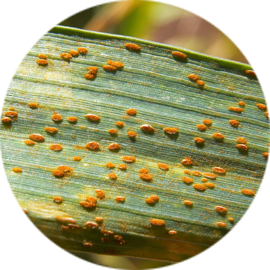 Royal Turf can identify which type of fungal disease is growing on your turf and treat it with the proper material to make your lawn healthy again. Your mulch beds help to beautify your property. They do not complement your property when infested with weeds. Royal Turf can help you maintain a weed-free garden with the appropriate treatment options for your mulched beds. Mosquitoes can make being outside unbearable. Do not surrender now. We can attack these disease carrying pests where they live so you can take back your yard. 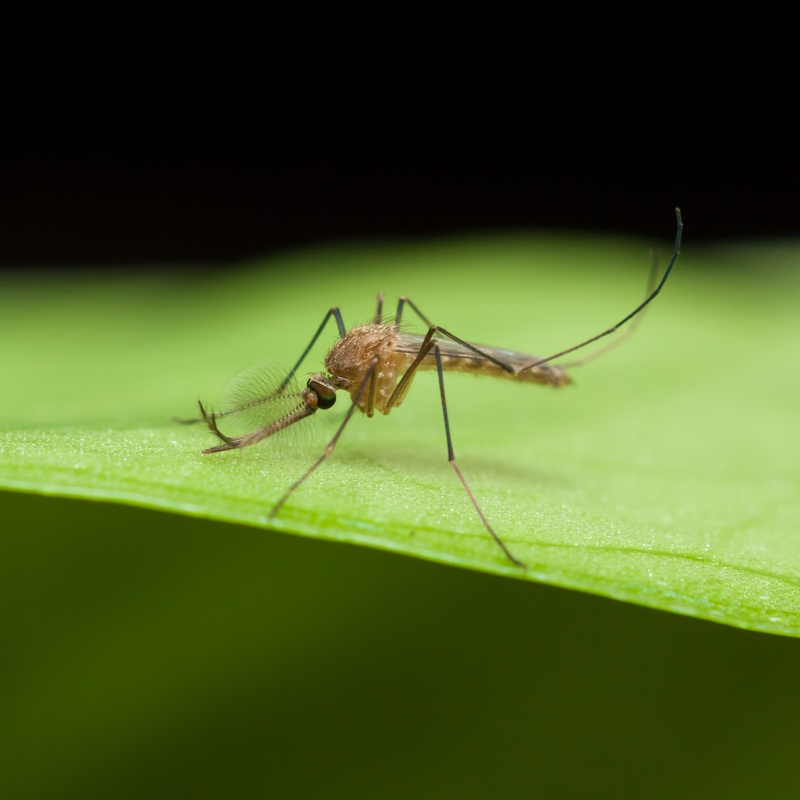 With our monthly mosquito control program we treat the areas mosquitoes live, breed, and feed, allowing you to enjoy your lawn all season long. 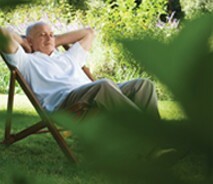 Enjoy your time outdoors with a thorough mosquito spray regimen. Fleas and ticks can be carried onto your property in a number of ways. Your own pets, stray dogs, or just passing deer and rabbits can carry these insects. Royal Turf can treat to eliminate these disease carrying insects. 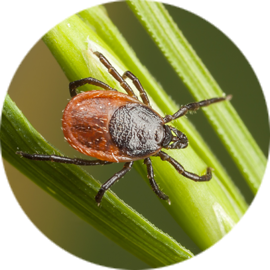 Fight lyme disease with our tick spray program. Now that your yard is aerated, seeded, fungus-free, and without pesky pests, keep your lawn in shape! We offer spring, summer, fall, and winter lawn care treatments that feed your lawn while also addressing unsightly weeds and bugs with crabgrass, weed, grub, and surface insect control. 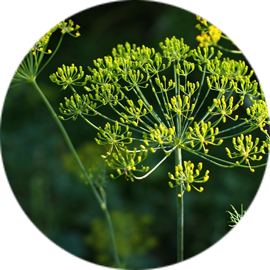 Take care of your weed-free beds with shrub care services, including insect and disease control applications. Schedule for spring now and save! 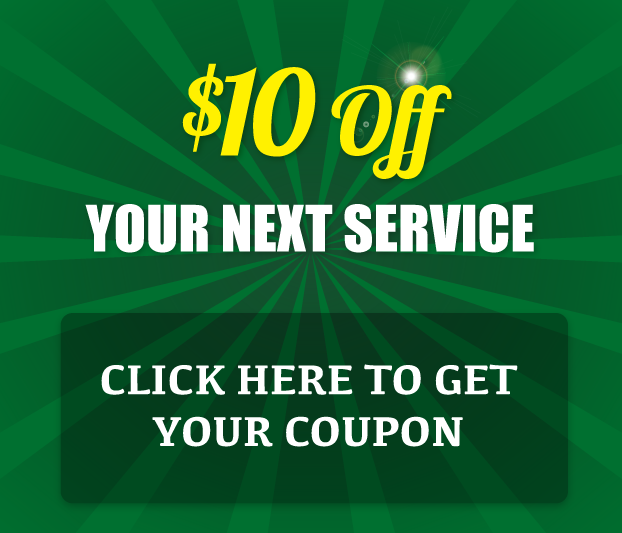 You will receive helpful tips to keep your yard healthy with special offers & promotions.